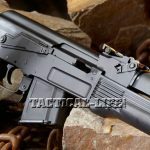 The Arsenal SLR-101S is the semi-automatic, civilian version of the latest Bulgarian military rifle. 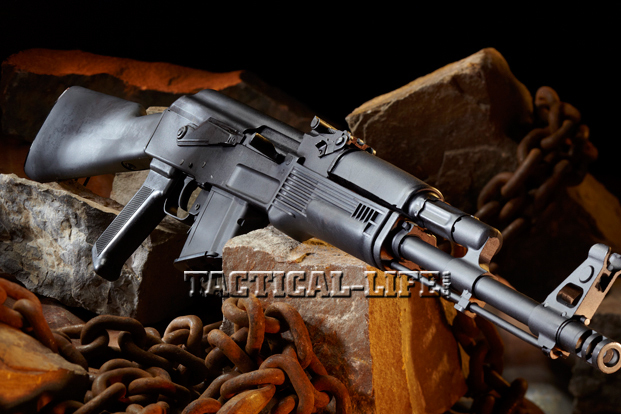 The SLR-101S is the semi-automatic, civilian version of the latest Bulgarian military rifle. The front sight is a traditional protected post. 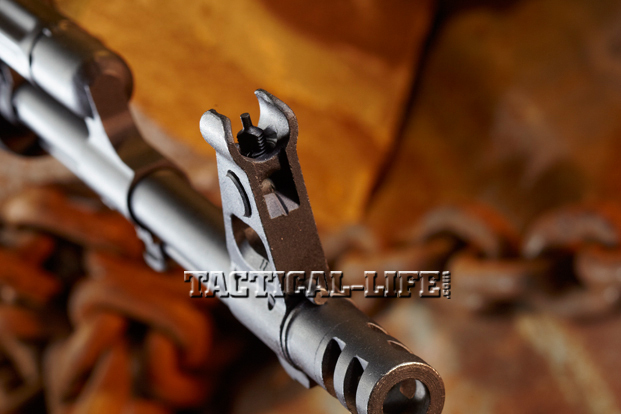 The rifle’s included muzzle brake is effective at holding the muzzle steady for quick follow-up shots. The “Self-Loading Rifle Model 101 with Scope Rail” is true to its name: The left side of its receiver has a sturdy scope rail mount for fitting optics. The SLR-101S is 922(r) compliant with both foreign and domestic mags. The supplied 10-round mag and several high-cap mags fed without problems. Top cover, bolt and carrier, recoil spring and top handguard/gas tube. Arsenal makes every part to ensure quality. 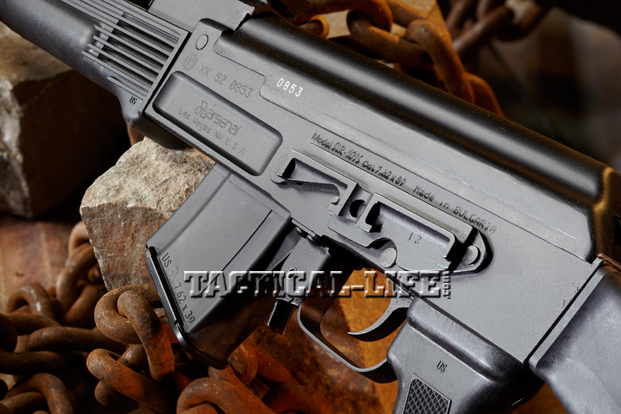 The pistol grip is one of the 922(r) compliance parts made by Arsenal in the U.S. The foreign-made trigger is manufactured by Arsenal in Bulgaria. The dark black finish on all the metal parts almost perfectly matches the furniture. 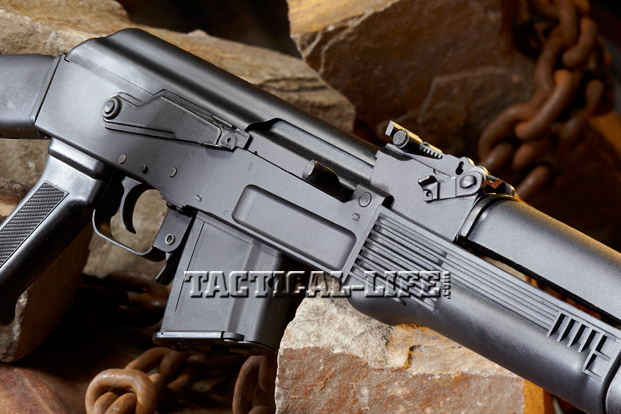 The milled receiver has smooth, attractive lines. 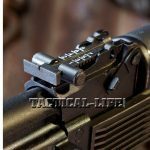 The fixed, 10-inch stock includes a sling swivel on the SLR-101S’ left side (like an AK-74’s) as well as a spring-loaded trapdoor for the cleaning kit. 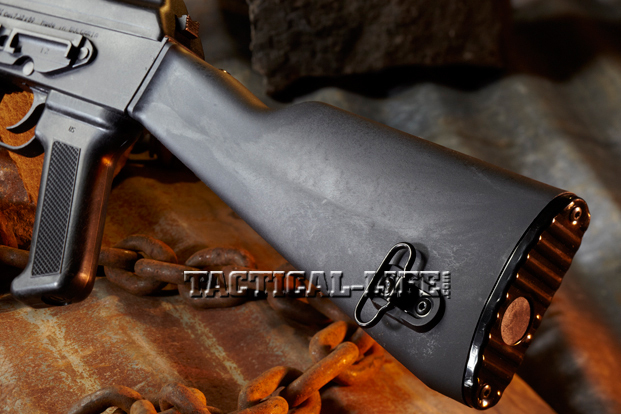 There are many makes, models and manufacturers of AK-style rifles. 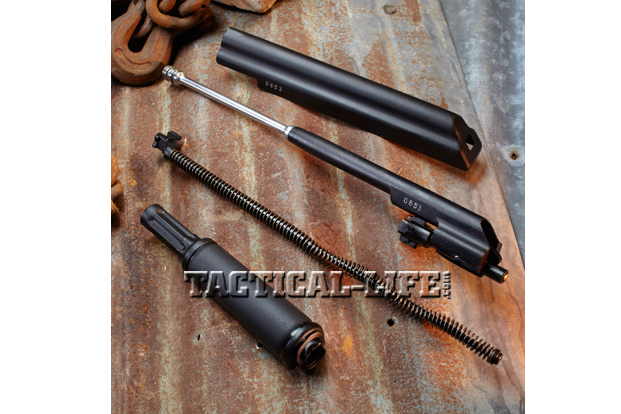 They vary as much in configuration and cost as they do in quality and chambering. 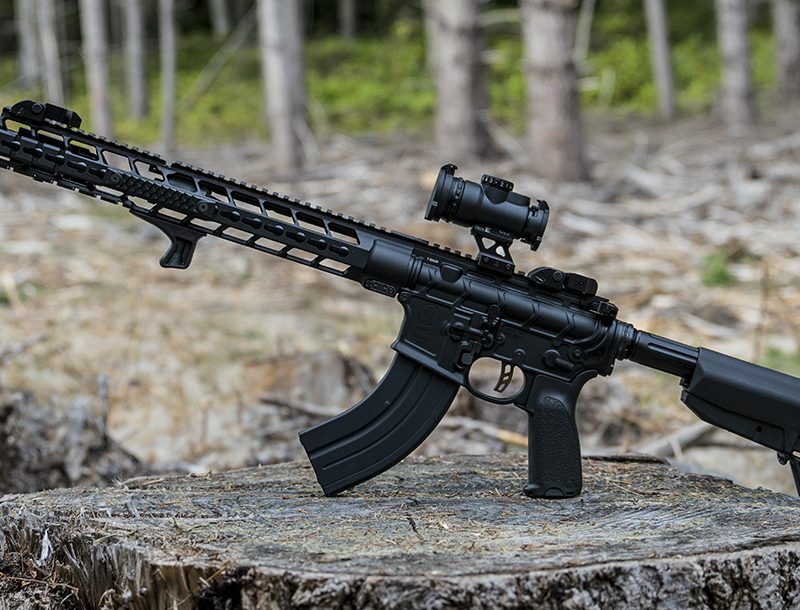 While the first purchase of a new type of rifle can bring many more questions than answers, this writer has found some continuity that may help both first-time AK buyers and the most studious Kalashnikov connoisseurs. Offering almost every configuration and caliber of AK, Arsenal brings Bulgarian-pattern AKs to the U.S. market. 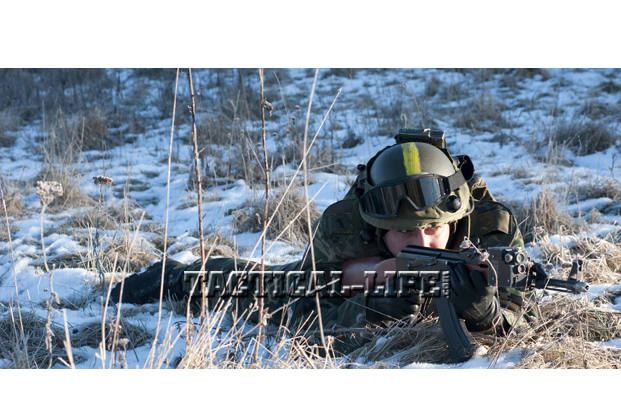 The SLR-101S is a variation of the most current Bulgarian military rifle in a semi-automatic configuration. When I received word that the SLR-101S series was coming in from Bulgaria, I was delighted. It has been over a decade since these firearms were last available. 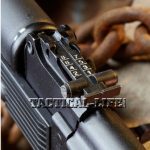 The quality of the Bulgarian SLR-101S starts with the manufacturing process, where a massive amount of steel is hot-hammer-forged into a receiver, bolt and bolt carrier, which are then milled to exacting standards to work in unison. These parts aren’t taken from varying suppliers and manufacturers then simply assembled. 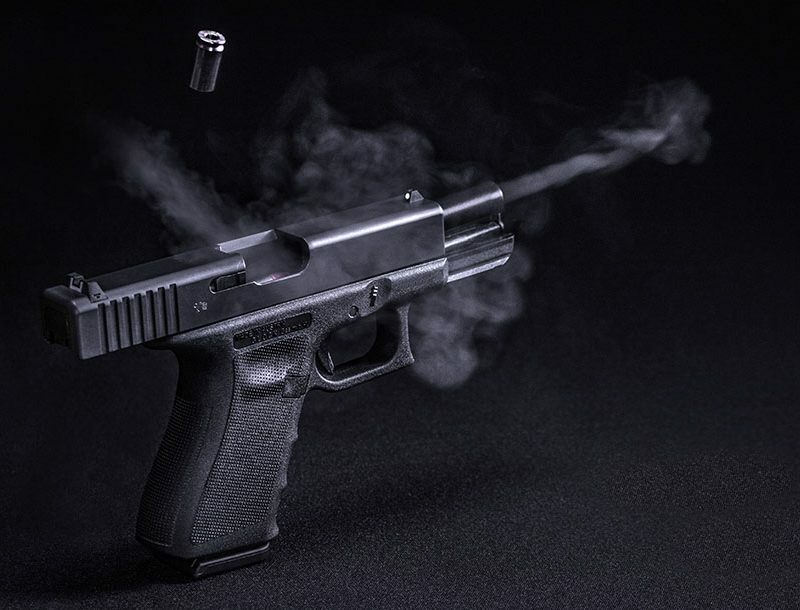 They are all fine-tuned, made from the same raw material and built specifically for each gun—there are no weak links, just the superior performance you get from such manufacturing. It can’t be over-stressed how every part fits perfectly with the others and within the receiver. A single working of the action by hand clearly brings this fact to life with its smooth, glass-like movements, which are quite uncommon for rifles of this type. 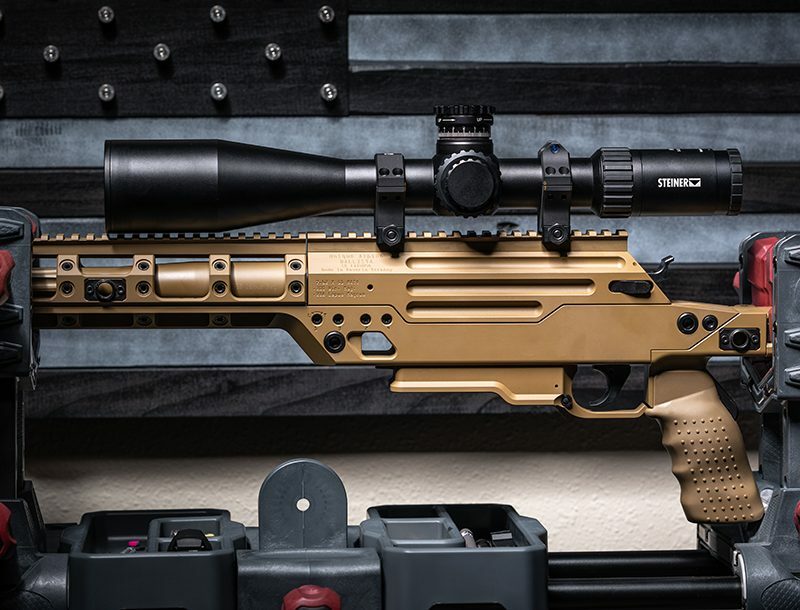 The barrel is cold-hammer-forged and chrome-lined, backed with over 100 years of workmanship and experience to create a high-end, mil-spec rifle that will last for generations. 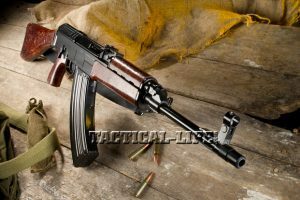 Because there are no surplus parts in the SLR-101S, many of the more common or even “acceptable” issues found in surplus AK firearms do not exist. Note that parts made to different tolerances may not have a proper, harmonious relationship with each other when assembled. Though they may function, there are bound to be side effects. One such symptom (which many AK owners may have experienced for themselves) is the painful forward trigger slap that occurs upon firing. 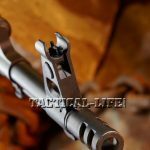 I have owned many AK variants with this issue, and it is caused by an improperly fitted hammer and trigger that violently collide during the rearward motion of the bolt carrier. Not only is this extremely uncomfortable after multiple shots, but also a potentially dangerous sign that the rifle will fire out of battery, which can harm the firearm or shooter. However, this is not an issue with Arsenal’s weapons. 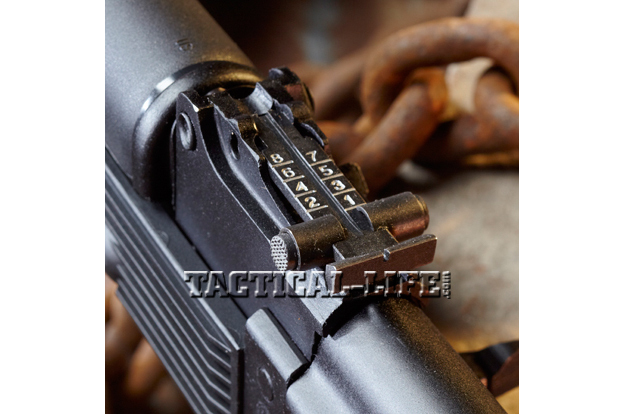 The SLR-101S is a result of the quality and detail that goes into the manufacturing process. In the forging (as opposed to casting) process, the metal is poured from a single stock then, while heated, pressed to shape the parts. This process compresses the density of the molecules and forces out bubbles and imperfections. The raw forgings are machined on CNC equipment to remove excess material and bring them to the tight tolerances required. The rifles are assembled by master craftsmen who have years of experience and have a deep passion for their work. (Many of the employees at Arsenal are themselves gun enthusiasts and collectors.) After assembly, each rifle is inspected, test-fired and laser-sighted at a distance of 100 yards. In traditional sighting, accuracy can vary among shooters, who each use a different hold, cheekweld and/or point of aim. In laser sighting, a laser is attached to the sights while a corresponding laser is inserted into the bore. The lasers are aligned together at 100 yards, eliminating any human error. 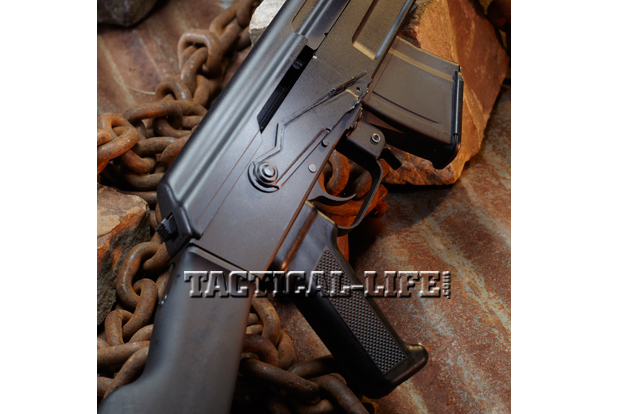 For this article I reviewed a production SLR-101S. Note that, for publications, I don’t test one-offs or preproduction rifles as they may not reflect what the reader ultimately buys. So the impressions and performance I obtained from this rifle should mirror any SLR-101S on the market. The SLR-101S (Self-Loading Rifle Model 101 with Scope Rail) is a gas-operated, magazine-fed, air-cooled, semi-automatic rifle that utilizes the standard long-stroke gas system. 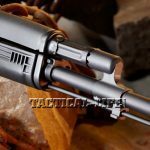 It is chambered for the popular 7.62x39mm cartridge and has a 16.25-inch barrel with a threaded muzzle, including the original bayonet lug. 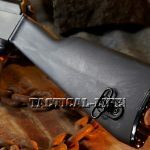 This rifle came equipped with a muzzle brake, but any traditional 14x1mm left-hand-threaded device may be substituted. 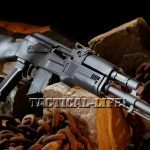 The SLR-101S’ twist rate is 1-in-9.44 inches. 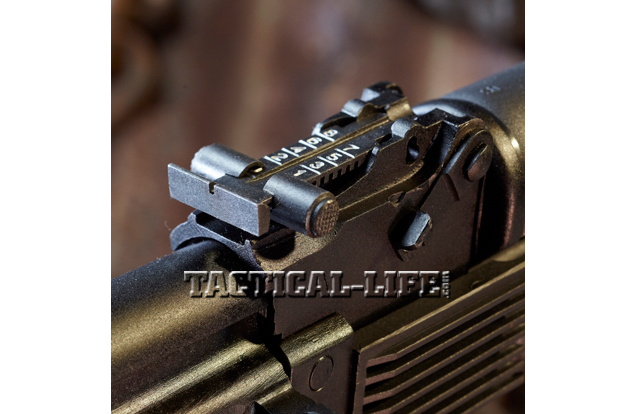 The front sight is a traditional protected post, and the rear sight is elevation-adjustable to 800 meters. 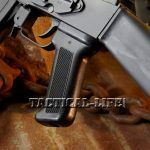 The left side of the receiver has a scope rail mount, offering a sturdy foundation for optical sights. The dark black finish on all the metal parts almost perfectly matches the rifle’s plastic furniture. The buttstock measures 10 inches in length and includes a sling swivel on the left side, similar to that used on the traditional AK-74. 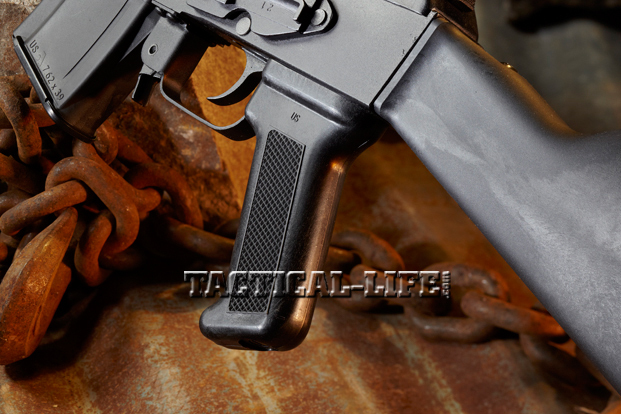 There is a corresponding sling attachment point in front of the lower handguard, also on the left side. 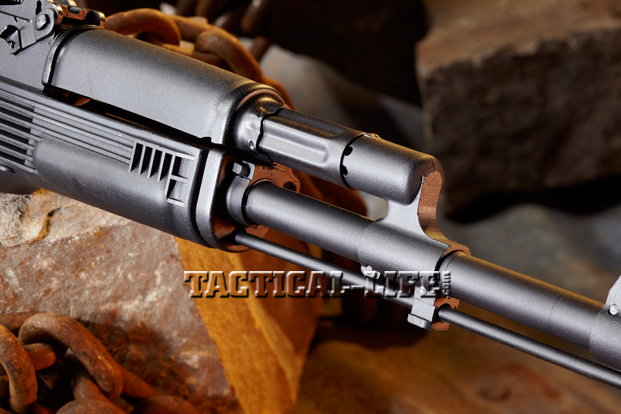 The stock has a spring-loaded trapdoor in the rear to accommodate a standard cleaning kit. In order to comply with Section 922(r), the SLR-101S contains less than 10 foreign-made parts, even when a foreign-made magazine is used. 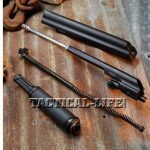 The foreign-made parts included are the receiver, barrel, bolt, bolt carrier, gas piston, trigger and muzzle device. This is important because some rifles require U.S.-manufactured magazines to comply with the law, but the SLR-101S allows the use of any magazine. 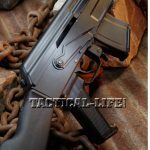 When the rifles are imported into the U.S., they are in an importable “sporting configuration.” All parts on the SLR-101S are indeed manufactured by Arsenal, whether it be in Bulgaria or the U.S. Accessories included with each rifle include a cleaning kit (case, drift pin, cleaning jag, bore brush, combination tool, oil bottle, cleaning rod) sling and magazine. It’s as pleasant to shoot the SLR-101S as it is to view. The rifle’s mechanism is smooth, and the trigger break is fluid with no dragging during engagement. 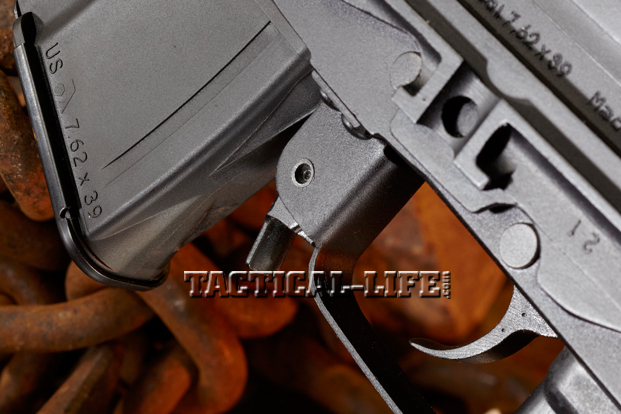 The design of the AK trigger mechanism typically requires a long pull, and a parts gun will often go from light to heavy (or vice versa) during this travel. But the SLR-101S remains smooth and consistent throughout the entire distance. 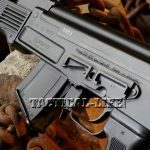 The recoil was noticeably lighter than that of other stamped-receiver models we fired that day, which was potentially due to the SLR-101S’ heavier, milled receiver. 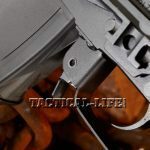 The muzzle brake seemed effective at holding the muzzle steady for quick follow-up shots, though I didn’t test any additional brakes during the evaluation. I fired the supplied 10-round magazine as well as several high-capacity magazines. All locked up easily and tightly, and none presented any problems with feeding or function. During my “mixed bag” ammo test, I loaded magazines with numerous types and styles of ammo to determine if any particular load would present problems. I used FMJs, hollow points and even soft-point hunting ammunition, and all fired fine with no malfunctions. Shooting was all done with open sights at 50 yards, some from a standing position and some from a small bench. Even with my tired eyes and the rear sight’s thin slot, round after round tore in and around the 3-inch orange sticker set up as my aiming point. A scope and a steady hand should easily produce far smaller groups.